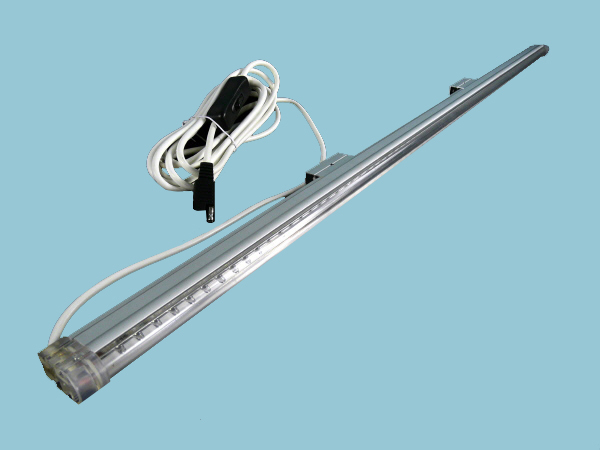 This LED light unit is designed to offer compact and stylish surface mounted lighting where maximum headroom and light output are required. Light is provided by 72 super bright LED's. Applications include: Outbuildings, Caravan & Motorhome, Awnings, Static Caravans, Boats, Storage Containers to name but a few. Each light unit comes with approx 3m of lead fitted with an On/Off switch and an S-S connector these lights can be plugged straight into the Sunshine Charge Regulator 12V - 7AMP for quick and easy installation without the need for any complicated wiring. You can also link multiple light units together easily using our Four Panel and Two Panel Solar Connector Cables that are fitted with compatible S-S type connectors making it easy to add extra lights if needed.